The next best thing to sleeping by the woodstove? 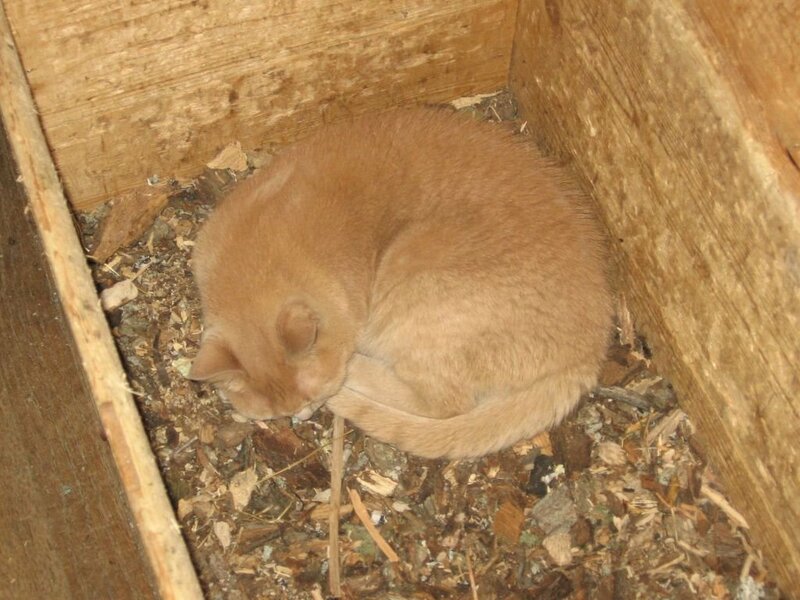 Sleeping in the woodbox! But now that we're well into spring, it's time to close this lid until fall. Don't worry--I'll make sure The Doodle Monster isn't in it. That looks like a splendid place for a nap. I had an orange tabby who looked so much like this when I was a teenager. He used to sleep in our goat's keyhole feeder in her stall. Sometimes when the poor goat Pearl would try to eat her hay, Tangerine, the yellow tabby, would give her a good scratch on the nose. Nuffin better than a box to curl up in for a nap -- especially for a cat! Hope your day is blessed FG! Doodlebug has found a cadillac of a box! Happy Easter Susan and everyone on the farm! Doodle is so cute in her lovely wood box. We don't get winters but it's raining season so my kitties are now looking at boxes to curl up too. Cats can sleep anywhere can't they? Cute shot! Doodle is going to be all "how dare you" when the box is closed. But, I bet she has the other spots all lined up to replace it. Love cats - so cute!